Buyer Personas: Are You Marketing to the Wrong Audience? You have a solid mission statement. Your online presence is broad. You’re producing stellar content. You’re tweeting, posting, blogging, pinning, etc. So where are all your leads? It could be a very simple answer—you’re marketing to the wrong audience. Once you have established what your purpose is, you need to narrow down whom you want to reach. Developing your buyer personas is the #1 step many folks miss when creating a marketing strategy. Once this first part is determined, it’s time to start talking about the psychology of your personas. What are their fears? What are their motivators? What makes them feel fulfilled? Or upset? Your process will eventually lead you to understand where they like to gather online, what type of content will be the most engaging with them, as well as what will turn them off. Meet Juggling Jill. She’s a hardworking wife and mom of 2. She’s in a full-time career, balancing her passion for sales and marketing with her family responsibilities. She’s highly organized, resourceful, and experienced. She graduated with her BA, which she is proud of, but sacrificed being a stay-at-home mom to keep her foot in the door at a prestigious advertising firm. She’s worked her way up from Sales Assistant, to Senior Sales and Marketing Assistant, to Director of Sales and Marketing. Her family lives in an urban city, and her children go to a private school (not the best in town, but at least it’s private). Her family income is $120,000, as her husband is a teacher at a nearby Community College pursuing his passion as well. Being highly organized and a busy career woman and mom, leaves little time for indulgence. When she’s shopping or reading for work or leisure, she just wants the facts up front and not a lot of fluff around the edges. A) How does it benefit me? B) How does it affect the bottom line? A company will win her over by providing value, being upfront about price/impact/ROI, and by treating her with the kind of honest professionalism she treats her clients with. She doesn’t want to feel superior to you, she wants to feel like she’s met her match. Don’t be afraid to give your personas names and real-life characteristics to help you bring them to life. Because the better you understand who you’re trying to reach, the more likely you are to uncover exactly what they want to read/engage with. And engaging, useful content is exactly what attracts and retains people’s business. Thanks to tools like Facebook Graph Search and Twitter Search, you can be very specific in your engagement, narrowing down exactly who you want to target. Now when you run a Facebook ad or a promoted Tweet, you have a better chance of reaching your intended audience. Ashley is an Account Manager and Director of Engagement at WindFarm Marketing. 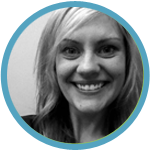 She has an extensive background in sales and is Hubspot Inbound Certified. In her spare time she’s cooking for her family, taking a jaunt through the park, and has her nose deep in a good novel.